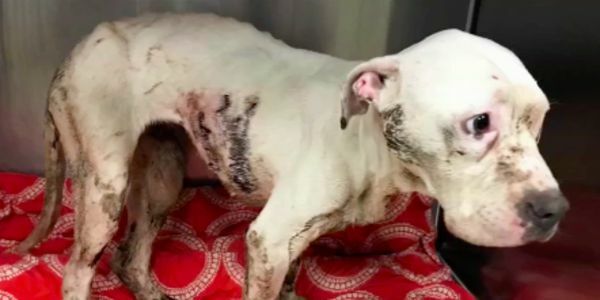 petition: Justice for Woobie the Dog Who Was Stabbed! I was horrified to learn that a bull terrier named Woobie was found stabbed and left for dead in Philadelphia this week. I live in Philadelphia and have a dog of my own and that's why I'm writing this petition to make sure my pet and others are safe. Please join me in demanding Woobie's case is taken seriously and the perpetrator or this abuse is found, charged and prosecuted! Woobie was so skinny, it looks like she had maybe been starving before this. When found, she had numerous stab wounds. Thankfully, passersby found her in time and brought her to the ASPCA where she received surgery and is on her long road to recovery. But that still means there is an animal abuser out there running free. Animal abuse is often the precursor to human violence, so not only is catching this person important for the safety of animals, but it's also crucial for human safety. Please add your voice to tell Philadelphia officials that this case must take priority and be resolved ASAP.